Its a bouncy bouncy Shizuoka. If anyone tells you that the ball does not bounce on flix pitches, they should have watched the Engineers v. Nagoya match at Shizuoka. No one imgined that 12 Aug would happen to be the day of the best ever bowling display by an Engineer. It was none other than Nissar Ahmed who started cautiously with a perfect off side attack. Slowly he started picking up pace and got a terrific bounce from the dead wicket. But along with the display of speed and bounce it was real bowling craftsmanship that won him his first wicket. Nagoya started off well with a 49 runs opening partnership which was broken when first change Sanjeeb had Tariq, the opener, caught behind for 21. Soon, Saqib, the skipper and other opener followed having caught with leg in front of the stumps to Sanjeeb. Nagoya 55/2. At this stage skipper thought Bobby, who put up two outstanding bowling performance in the previous two matches by taking a total of 7 wickets, would be a good bet and was brought on. 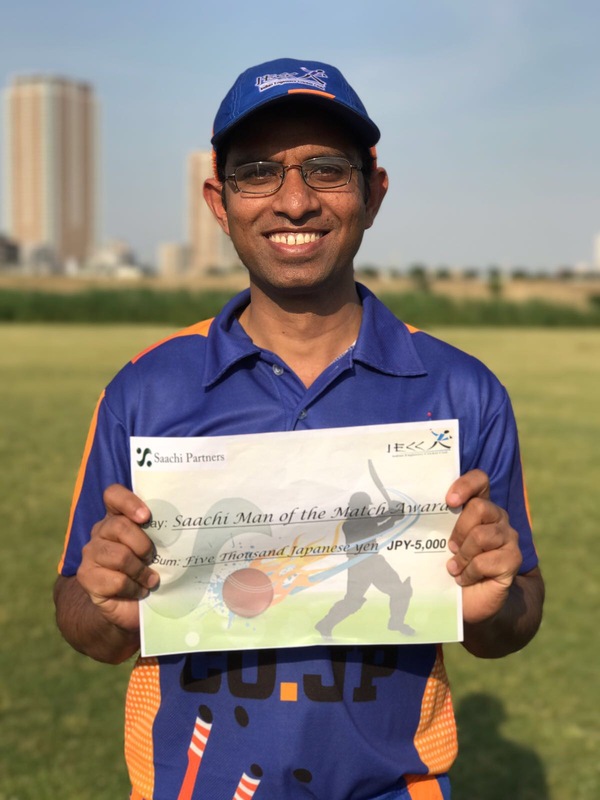 He bowled reasonably well but could not do the job for which he was brought on – to take wickets. Nissar replaced Bobby to unleash one of the best pace bowling display. 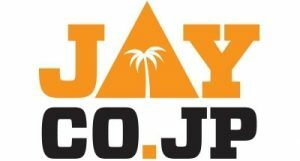 Nagoya’s no. 3, Ijaz, was stunned by a super fast bouncer, probably the first ball of the innings that took the batsman off guard. Nissar followed it up with yet another bouncer, pushing the batsman on the back foot. Next followed the first of the 5 magic balls. The third ball was at the perfect spot and left the batsman’s off stump disturbed. That was when the nagoya batsmen sensed fear. Batsmen came and went back. In a matter of 6 overs, Nissar had victimized 5 batsman. At one stage, the skipper set almost a Test match field for Nissar, two slips, gully, point, short cover, mod off, long-on and square leg. Captain had such faith in Nissar that he left the entire area between square leg and long on vacant and the bowler did not disappoint his skipper. The big hitting Nagoya batsmen were forced to play on back foot, many times, the ball bouncing to such level that batsmen were forced to ask for helmets on the flicx pitch! Nissar continued his aggression throughout his 6 over spell that accounted for 5 batsmen, with two of his victims falling in two consecutive balls and that over also produced 3 wickets. 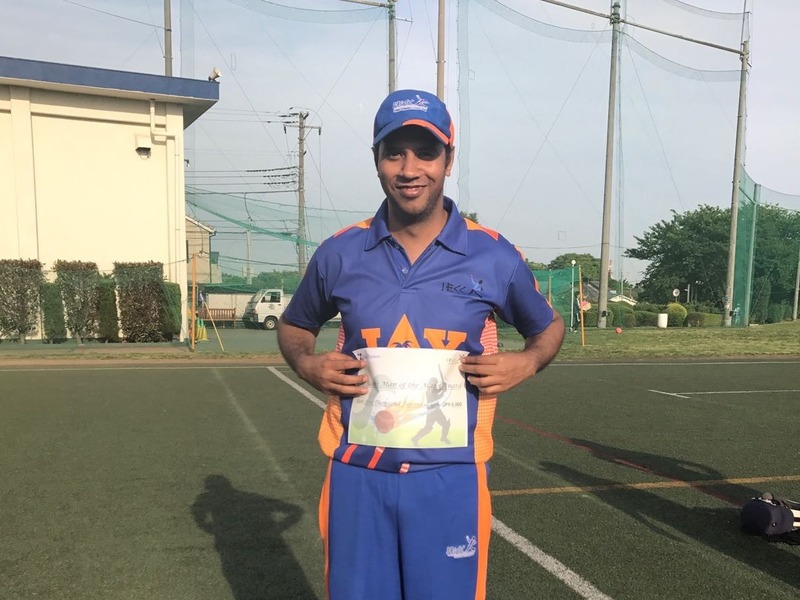 At 141/7, Nagoya’s Ahmed Gul walked in wearing a helmet – he later admitted that it was the first time in his life he wore one. Gul, in his previous encounter with the Engineers had almost single handedly took the game away from the Engineers early in the season with a 40-odd ball 70+ runs. True to his reputation, Gul tried to counter-attack Nissar by lofting the first ball he faced, only to find Sanjeeb lurking at long-on. The ball landed safely in his hands, reducing Nagoya to 141/8. At the second drinks break the Engineers were confident that they would have a small target to chase. Nagoya was 141/8 in 25 overs. But what was to follow was sheer carnage. There was no one to put an equal pressure on the other end and the 9th wicket fell only at 202 and the last wicket put up an unbroken partnership of 53 runs with Hamim Khan at no. 10 scoring 46 valuable runs(I would like to ask them about their diet). Also as usual some sloppy fielding and extras added to the total, much to the embarrassment of the Engineers. All said and done the Engineers had to chase 256 in their allotted 40 overs. Vimal and this writer opened the innings for the Engineers. Probably picking some tips from Nissar’s book the Nagoya bowlers also bowled very well. Though they bowled wides occasionally, they were quite fast and bouncy too. Trying to accelerate the innings a bit, Vimal edged one to the keeper. This marked the start of yet another familiar collapse for the Engineers. Next to follow was Amol, who was yorked by an inswinging yorker from Ahmed Gul. Nissar along with sanjeeb was the right combination at this juncture. But unlike his steady shots Nissar fell to a bouncer, trying to pull it to the ropes, but managing only to get a glove on it to the ‘keeper. In walked Bobby “The Wall” Philips. Indeed Bobby tried to be a wall between the attacking Nagoya bowlers and the Engineers’ score! He blocked ball after ball and the scores recorded dot after dot against his name, all of 19 balls. 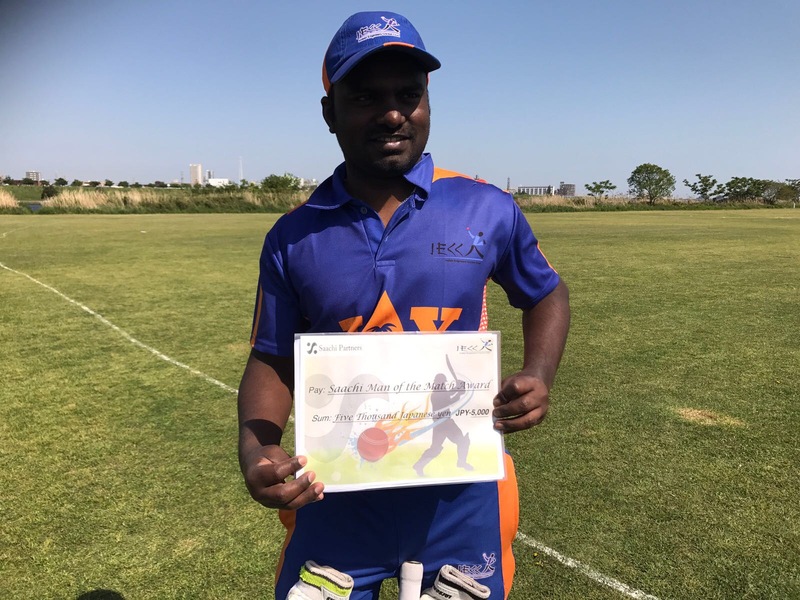 Only an unfortunate run-out, when he tried to help the striker get a run, stopped the batsmen from being a true wall and a serious contender for Fuji Far East’s Sato, who, two years ago scored a marathon duck off 36 balls. Expectedly, after the fall of the Wall, batsmen came and went. Another twist came when Engineers no. 8 Minhaj and Biju were batting. They batted for nearly 7 overs with Minhaj almost out stripping Bobby of the title. Only a miscounting by Minhaj resulted in he taking his first single after 18 balls and let Bobby keep the title. Over all, Engineers lack of bowling options resulted in keeping Nagoya under check. Having had Nagoya at 141/8, Engineers let them out of the cage and then lacked the discipline in batting. As for Nagoya, it was a tremendous effort to score 255/9 from that stage. It is also commendable that the Nagoya boys tried to counter attack the Engineers when Nissar was going berserk. Although their ploy misfired, it displayed their tough and competitive mindset. Brief scores: Nagoya 255/9. Shafiq 43, Hasim Khan 46, N Ahmed 5/34 IECC 103. S Ahmed 3/19, Ahmed Gul 3/18.